High performing team knows how to work and how to rest. Share with us our holiday! That is not lost that comes at last - though, the Tester’s day was celebrated last Friday, we still would like to congratulate all those involved for this holiday, and at the same time to share with you the experience of how Ardas team builds the testing process. On September, 9 1945 the scientists of the Harvard University while testing the computer Mark II Aiken Relay Calculator have found a moth which has got stuck between the contacts of the electromechanical relay. The work they performed required some description, and the word has been found – «debugging» (literally: disposal of an insect) – and nowadays it is used to describe the process of identifying and eliminating bugs which cause a computer to malfunction. 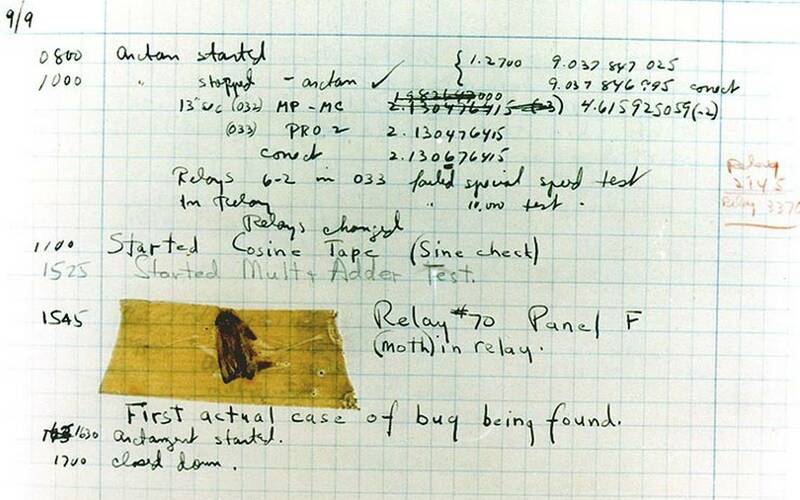 The removed insect was pasted into the computer log with the entry: “First actual case of bug being found”, and was then transferred to the computer museum. Our corporate team is always suited to the testing process responsibly, to get the perfect product in the end. After receiving the first specification, we write the plan, design test cases, assessing the need for automation testing. Once developers have prepared a build, we conduct a "smoke test", which resulted in the conclusion of the feasibility and advisability of further testing. After the testing is done, we provide a report, which is available to all interested parties. It is not only the testers need to know the results of the tests - this information may be needed for many participants in the process of software development. We gather, systematize and analyze information about its results. It may come in handy later - with the release of the finished product. There may be other reasons to minimize software testing, for example, the early closure of the project or the completion of a certain stage of development. Of course, we can not disclose all the secrets of our workflow, but you can be sure that we are very strict in our work to provide the best version of the product. You are always welcome to find out more about our working process, so please feel free to contact us anytime.